No other SUV in the market can provide all of the features and opportunities that the 2018 Jeep Grand Cherokee offers. This SUV can be a luxurious family-mover, a hot-rod, and even an off-roading specialist that will bring you on new and grand adventures. This well-rounded vehicle truly is the SUV for everyone, and the rest of the midsize SUV class can't compete. 2018 is even bringing more trim options with the powerful and extraordinary Grand Cherokee Trackhawk trim being added which comes with a supercharged V8 engine. Family, power, off-roading, the 2018 Jeep Grand Cherokee is everything you love about Jeep vehicles and more. What trims are offered with the Grand Cherokee? To better your experience, Jeep is offering you the Grand Cherokee in a staggering seven different trim levels. These trims include Laredo, Limited, Trailhawk, Overland, Summit, SRT, and Trackhawk. The base trim that offers all of the standard features is the Laredo. This feature-stuffed trim gives you rear parking sensors, 17-inch wheels, a six-speaker sound system with satellite radio, Bluetooth, two USB ports, dual-zone automatic climate control, a 7-inch touchscreen, a rearview camera, and heated mirrors. The new trim, Trackhawk, is the perfect option if you are interested in speed and power. Besides the supercharged V8 engine you also gain a more aggressive looking bodywork, lightweight 20-inch wheels, Brembo brakes, upgraded upholstery, upgraded adaptive suspension, and unique interior design. If instead, you want a more luxurious and comfortable Grand Cherokee, then the Summit is truly the trim model for you! The Summit includes adaptive cruise control, a self-parking system, lane departure warning, a 19-speaker Harman Kardon audio system, front parking sensors, 20-inch wheels, upgraded leather upholstery with diamond-quilted accents, headlight washers, active noise-canceling technology, and a blind-spot monitoring system with rear cross-traffic alert. With parking sensors and a backup camera coming standard with every Jeep Grand Cherokee, it's no wonder that this is such a well-rounded SUV. The added option with higher trims to gain adaptive cruise control, lane-keeping assist, blind-spot monitoring and lane-departure warning just go to show how safety conscious Jeep is about you and your family. Whether buying a hot-rod Grand Cherokee, a family-cruiser, or an off-road version, you will be safe. What engines are offered with the Grand Cherokee? If you didn't believe Jeep was invested in bringing you options, then the multiple different engine options should put your worries to rest. The standard engine in the Grand Cherokee is the 3.6-liter V6, which has the ability to generate 260 lb-ft of torque and 295 horsepower. If you want an even more powerful engine you can also choose the 5.7-liter V8 engine that creates 360 horsepower and 390 lb-ft of torque. When it comes to even more power, the SRT and Trackhawk are the trims that come with the most. The SRT model comes standard with the 6.4-liter V8, producing 470 lb-ft of torque and 475 horsepower. The Trackhawk comes with the supercharged 6.2-liter V8, generating 707 horsepower and 645 lb-ft of torque. Every V8 engine pairs with four-wheel drive, and the V6 engine comes standard with rear-wheel drive and the option to switch to four-wheel drive. 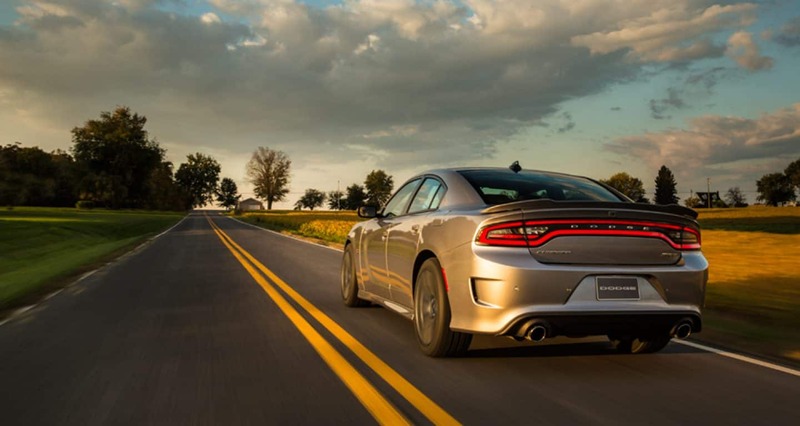 Every engine comes standard with an eight-speed automatic transmission. As for towing capacity, the Grand Cherokee is rated to tow up to 7,400 pounds. Are you looking for a family SUV? A power SUV? An off-roading SUV? The 2018 Jeep Grand Cherokee can be all of those things and more. No other vehicle in its segment can boast the same options, or give you the same possibilities. There is no better choice than the Grand Cherokee. Don't believe us? Schedule a test drive and see for yourself.